Revered by fans as the funniest, most original cartoon ever, The Far Side debuted in January 1980 and spent 14 years on the world's comics pages until Gary Larson retired in 1994. 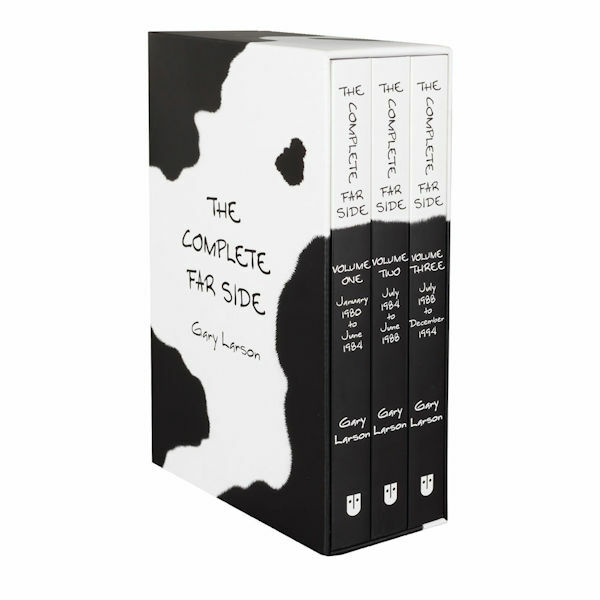 This slipcased set collects every syndicated Far Side cartoon-over 4,000-plus several Larson created after his retirement. Includes a foreword by Steve Martin, chapter introductions by Larson himself, and letters from fans and detractors. Set of 3 softcover books, 1,278 pages.